Popular book of original folktales by Black Wampanoag storyteller is available again through Amazon as paperback and kindle publication. Grammy nominated Hip-Hop Jazz Artist, The ZYG 808 demonstrates that he embraces more than the musical styl of the conscious hip-hop era, through community involvement and artisitc collaboration. Soul Poets Records releases E.P. by Hip Hop Jazz Percussionist & MC The ZYG 808 a week after the debut of his Music Video "The Concerto". 4 Time Grammy nominated band The GroovaLottos have a concert / party coming up at SOB's in New York City and you're invited... provided that you're 21+... A Labor Day Weekend event that you don't want to miss! The ZYG 808's debut music video, "The Concerto" premieres on YouTube on August 29th at 8 pm. The video features appearances by other rising hip-hop artists of the region. Grammy Nominated soul band, The GroovaLottos will be playing at SOB's on September 1st. Almost as impresisive as their live show are the musician's foundations as backing players for the who's who of classic and contemporary soul music. The Tomaquag Museum and Charlestown’s Rhythm & Roots Festival are adding The GroovaLottos — a Wampanoag-led, Grammy nominated soul-funk-blues band, to the festival’s lineup, marking the first time a Native American led group will be featured. New debut single by Hip-hop Jazz artist, The ZYG 808 goes live on iTunes, Spotify and other streaming and download services Wednesday, July 25th. Some of the original venues to present Hip-hop include Block Parties and community events. In this tradition, The ZYG 808 brings his sound and message to the people on The Phunk Hits 2018 summer tour. The GroovaLottos Play DC This Weekend!!! The Phunk Hits 2018 Summer Concerto Tour adds two shows in Washington DC for The GroovaLottos and The ZYG 808 on July 6 and July 7. This coming Weekend, The GroovaLottos will be playing two shows in Washington DC as a part of their The Phunk Hits 2018 summer concert tour. 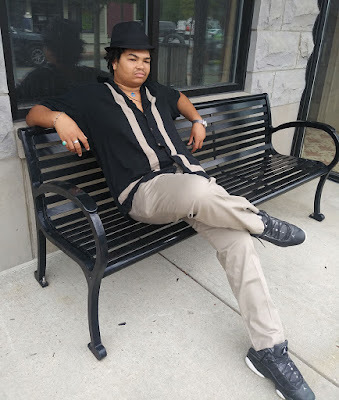 15 year-old Hip-Hop Jazz Artist co-founds record label focusing on Hip-Hop, Break-Beats, and Dance Music, as he prepares for the release of his debut solo project, "The Concerto" as well as other upcoming projects on the table. As Mumble and Emo Rap are being touted as the sound of a new hip-hop generation, the same generation struggles to rise from the record industry imposed monolithic pigeon hole of banal music. The Phunk Hits 2018 summer concert tour is in full swing and the next stop is Focsicles in Provincetown, this coming Saturday. Hip-Hop Jazz Artist The ZYG 808 looks at the summer ahead as a featured artist on The Phunk Hits 2018 tour and working on his debut album, "The Intro". Grammy nominated soul-funk-blues band kick-off The Phunk Hits 2018 with a show at Beatnik's in Worcester. Listen to their music on WICN's "Soul Serenade" Monday nights 7 - 10 pm. There's a party going on in Dedham!!! The Coffeehouse Soul Sessions will be the after-party for the "Show Em Whatcha Got!" road show event. The show starts at 8pm in the Dedham Square Coffeehouse, 565 High Street in Dedham, MA.